What Is Advertising Mail Compliant? 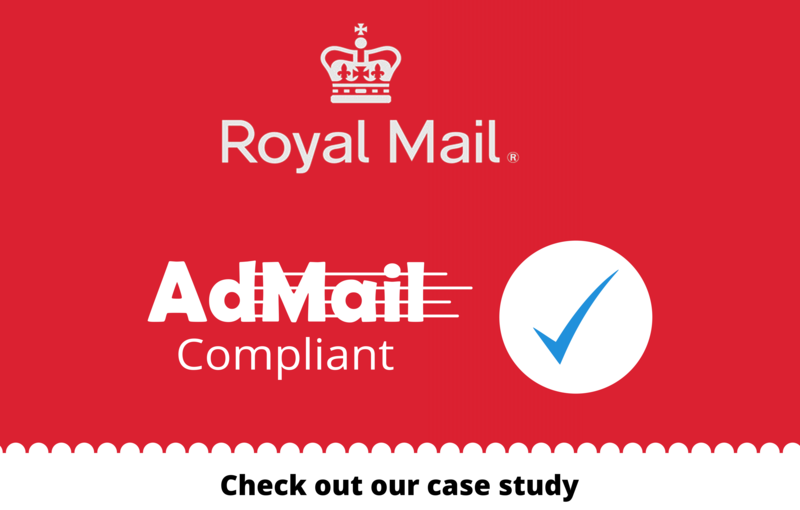 The Royal Mail offer a discount for advertising mail but they are very stringent on what they consider to be compliant to qualify for the discount. In essence to qualify the recipient must not expect to receive it. There are many other technical aspects which Stannp.com take care of in terms of data processing, sortation and submitting samples but you don’t need to worry about this we all make it happen seamlessly in the background. You just need to ensure that your creative is compliant. Here are 30 examples of campaigns which will hopefully shed light on whether your campaign is compliant or not. 1 A credit card company, store or retailer sending an offer of a new credit card. YES Promoting the sale or use of products or services. 2 A charity / society sending a reminder mailing to renew the subscription. YES Encourage donation to a cause. 3 A mail order company sending its new or seasonal catalogue to an existing or prospective customer base. YES Promoting the sale or use of products or services. 4 Customer satisfaction questionnaire which specifically captures information relating to a customer’s experience of the product, service or cause with the aim of using such information to be more targeted when sending further information on such products or services. YES Promoting the use of a product / service. 5 A travel company/tourist board sending its new or seasonal brochure unsolicited to an existing customer base or prospective customer base. YES Promoting the sale or use of products or services. 6 An unsolicited mailing of a discount code or discount vouchers, tickets or invitations with a uniform message to customers / prospects to encourage purchase or re- purchase. YES Promoting the sale or use of products or services. No obligation to send. 7 An organisation sends a letter to its customers/prospects to notify dates of future events promoting its products or services or cause. YES Promoting product/services/cause. 8 A company sends a sample of its products/services with or without a voucher, (unsolicited) YES Promoting the sale of products. 9 Loyalty scheme providing the opportunity to take advantage of offers or redeem coupons, either in store or on line. (this mailing may include details of an individual’s number of loyalty points available for conversion). YES Promoting the sale or use of products or services. 10 A customer publication i.e. a magazine or newsletter forming part of a company’s / charity’s customer communication programme to encourage purchase or support of a cause that is not paid for by the recipient or via subscription. YES Promoting a cause or the sale or use of products or services. There is no obligation on the company or charity to send the publication. 24 An AGM mailing informing shareholders of the AGM meeting NO It is a legal requirement under the Companies act for shareholders to be notified of the AGM. 26 Local utility company explaining forthcoming changes to utility ownership. e.g. water company detailing changes to ownership and responsibility of sewage/water pipes NO Purpose is to provide clarity of boundary ownership and responsibility.